Juli Knutson brings significant experience in writing, editing, and publications management to the JGA team. Coming from a background in nonprofit publications, Juli has unique insight into client work that informs her role as Senior Writing Associate. She particularly enjoys partnering with clients to learn about their mission and vision to articulate their stories in cases for support. Juli works to improve JGA’s writing projects, synthesizing complex information into clear and concise products that are immediately useful for clients. 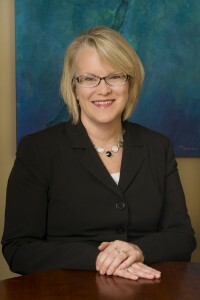 Prior to joining JGA in 2002, Juli held various positions in the nonprofit world. She began working for the American College of Sports Medicine as a Production Editor and later as Publications Coordinator, writing and editing publications as well as overseeing all internal and external design, print, and mailing projects. Following that assignment, Juli moved on to Pi Lambda Theta, the International Honor and Professional Association in Education, as Director of Publications and Programs, and later a similar role at Kappa Delta Pi, a 55,000-member society of educators, where she was managing editor of the KDP Record as well as leading the creative team and serving on the management team for the organization. Printing Coordinator/Graphic Designer at Heritage Press, Inc.